Which Type Of Oil For My Car? We’ve all been there. You’re standing in the aisle of your local car supplies shop gawping at racks and racks of different engine oils...and you’ve not the foggiest idea of what any of the seemingly coded language on the bottle means. In this article, we’ll aim to demystify the complexities of oil selection and try and provide some clarity on all things engine oil. We’ll start with the ‘code’ on the bottle: 10w30, 5w40, 0w30 and so forth. What does is mean? The answer is in the viscosity or, more simply; how thick the oil is and how fast it will flow around the engine at high and low temperatures. Modern oils are known as multigrade oil, meaning that they are suitable for summer and winter, rather than single grade oils which necessitate different oil viscosities for summer and winter. The first number is all about cold start performance, or how well the oil lubricates the engine when it is cold. The second number, hence, refers to the engine when hot (100°C to be specific) and how viscous the oil will be at these temperatures. Ultimately, the average car user doesn’t need this information, but it is imperative that you put the correct oil in your car as it can enhance fuel consumption and ensure your car is running at optimum efficiency. In addition to this, there’s the question of whether, or indeed not, to select a synthesised oil. A synthetic oil, as the name suggests, is a manufactured oil consisting of man-blended chemical compounds as, as opposed to entire crude oil. As it’s temperature spectrum is much wider, it is classed as a premium product, so expect a premium price tag. It flows more freely at extremely low temperatures and is less likely to breakdown at high temperatures. It free flowing nature creates less friction in the engine, thus increasing fuel economy. Mineral oil is the cheapest type of oil and is a by-product of the petrol making process. Whilst you can still get a variety of viscosities in mineral oil, because of the nature of the product, it does start to deteriorate from the moment you start your car, which, over time, gives it a reduced ability to lubricate the engine. Semi-synthetic oil, or synthetic blended oil, is a mixture of mineral and synthetic oils. Semi synthetic oil is a great middle ground; you get the improved performance of the synthetic oil and the reduced price of the mineral oil it is blended with. As ever, it is essential that you use the correct oil type for your car. Oil details for the top ten most popular cars, in the UK, can be found below. 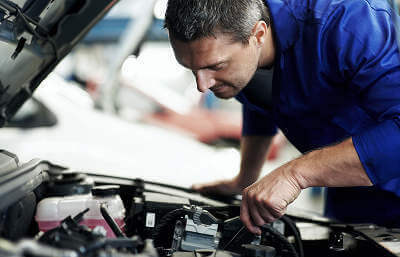 However, if in doubt, take your car to a garage and have them change the oil for you; it’s an opportune moment to have your car serviced too, so why not check out what servicing deals are available in your area, on MyCarNeedsA.com.